Beautiful Indian stud earrings, tikka and pearl jhumar set in light gold with mild antique (18k colour gold with very mild black antique) & various colours (please select). 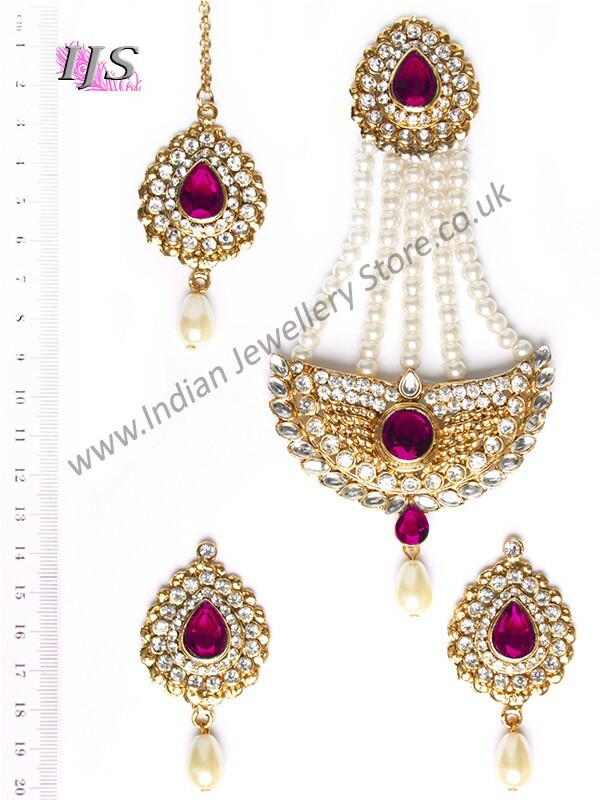 Set with faux pearls, clear crystal diamante & kundan stones. 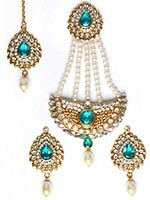 Set includes: Indian stud earrings, tikka & pearl jhumar. Snap up this traditional Mughal inspired jhumar / tikka design paired with large stnd for this wedding season! Indian Jewellery Store LOVES this product because it is a classic design but on trend for this season and is at an affordable price. Other colours available, enter the design name in the search box to see them all. Scale shown in image is in cm.